There is nothing more troublesome than keeping track of your stuff on a boat full of friends and their gear, too. Keep your gear up and out of the way when you're taking a break from catching the waves with wakeboard tower racks from OnlyInboards. Adding one (or more) of these wakeboard tower racks or clamps to your watercraft will ensure you have more room to relax and move around during that precious down time between runs. OnlyInboards.com wakeboard tower racks come in many different sizes, models, and finishes for boats with towers and towerless boats, so you're sure to find the exact model for your watercraft. Quick release options keep your equipment safe, but can be easily removed to keep gear secure or when it's time to store the boat for the season. For a more secure fit, bolt-fittings keep the rack secured until you're ready to remove it. Another safety feature is the bungee cord that secures each board while it's on the rack. Most models also come with inserts made out of rubber material or the like to make sure your boards are safely and securely protected while in the wakeboard racks. These handy storage helpers are made to hold from 1 board up to 3 boards, so if you've got a lot of waves to catch and a lot of friends, you can optimize the valuable space on your boat by upgrading to a multiple-board storage system. Why not tidy up the floor space of the boat? Think of all the stubbed toes you'll avoid and the lounging space you'll gain. Not to mention, those precious boards won't be at risk of getting bumped and scratched. Let OnlyInboards help you find the perfect wakeboard tower racks for your watercraft setup. With brands like Razor, Skylon, Monster, and Roswell you know you're getting high-quality equipment. 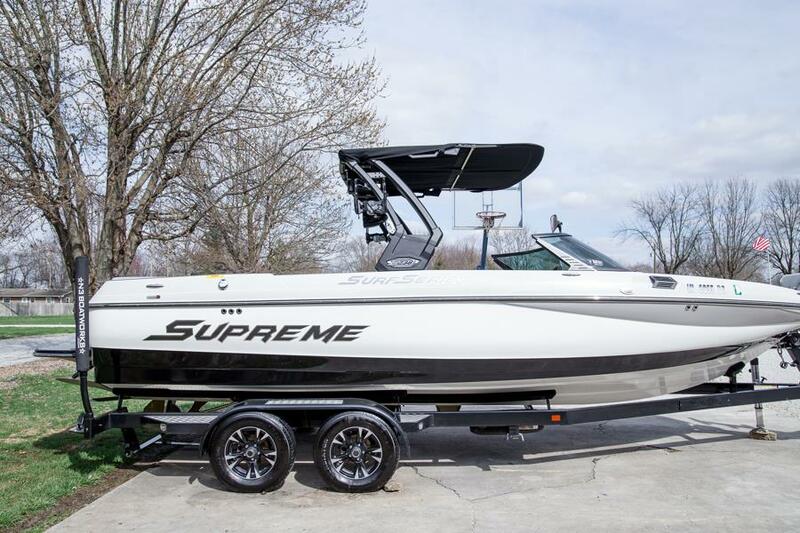 With over eight years in the ski and wakeboard boat industry, our friendly customer service team is dedicated to helping you find the best for your watercraft. Our passion for excellence on the water and our desire to share our aquatic know-how is what makes our customer service like none other.